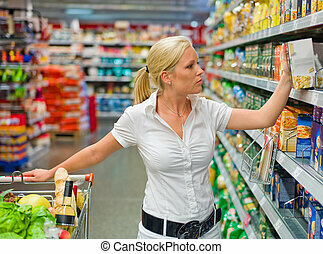 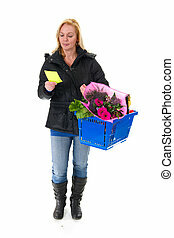 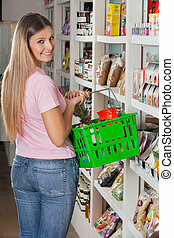 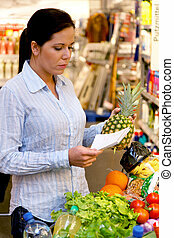 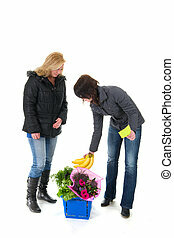 Woman with shopping basket in the supermarket. 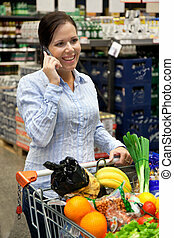 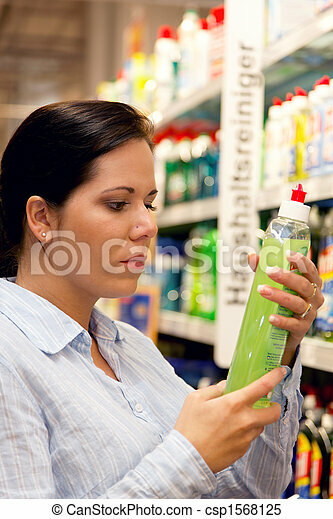 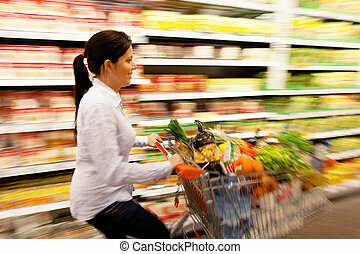 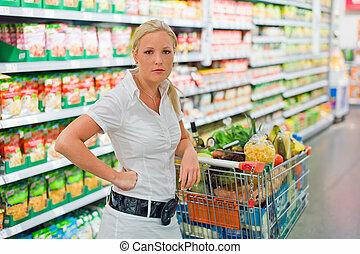 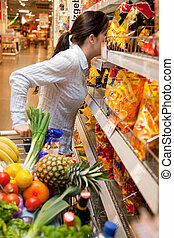 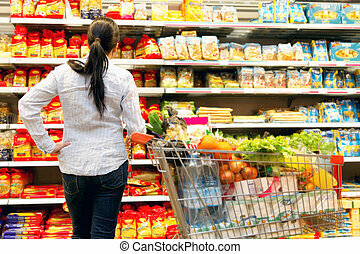 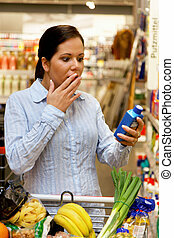 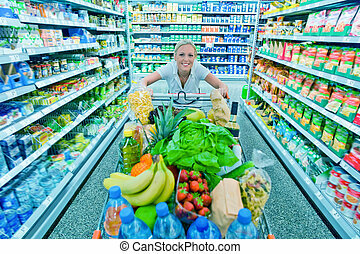 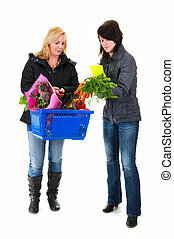 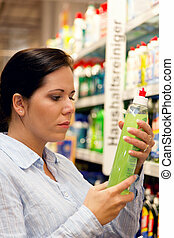 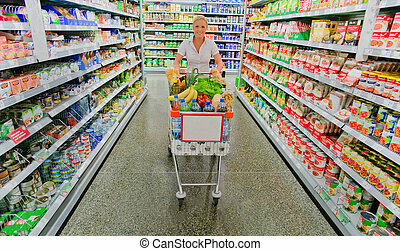 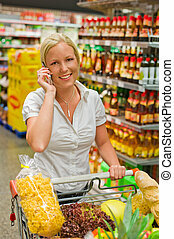 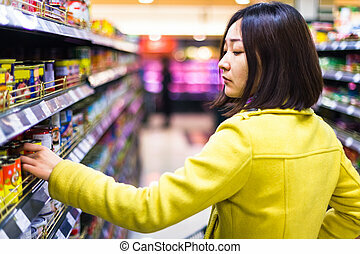 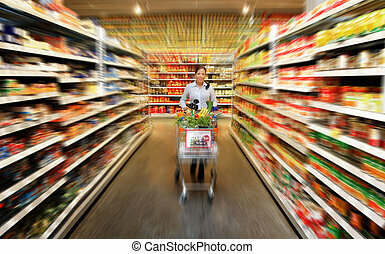 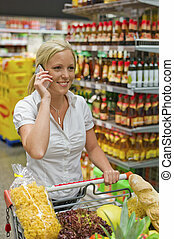 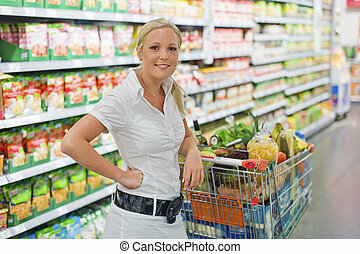 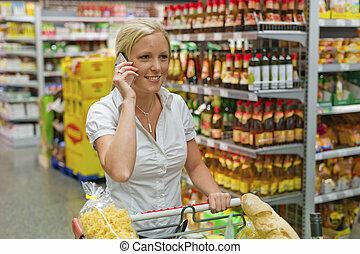 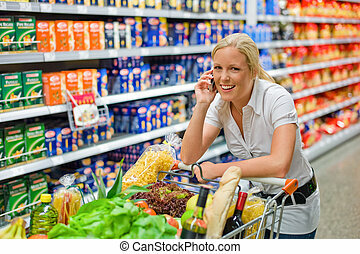 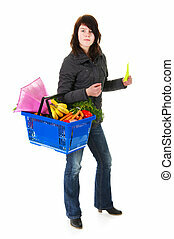 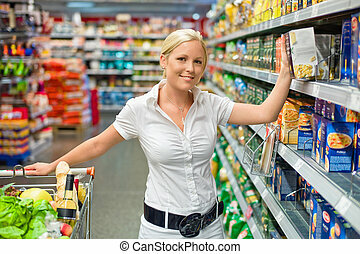 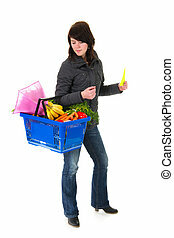 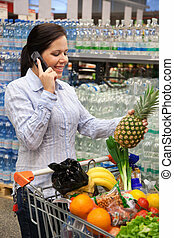 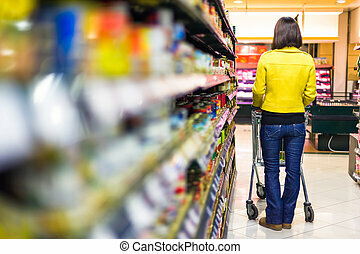 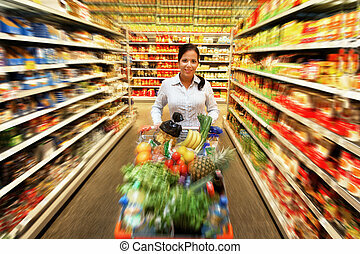 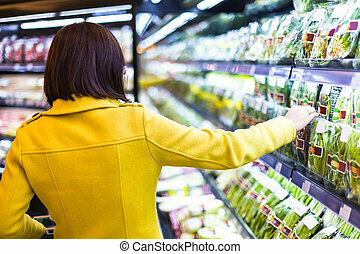 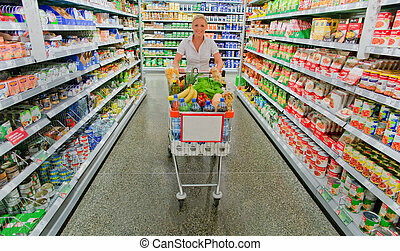 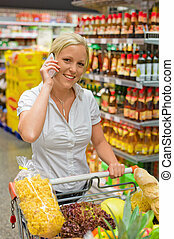 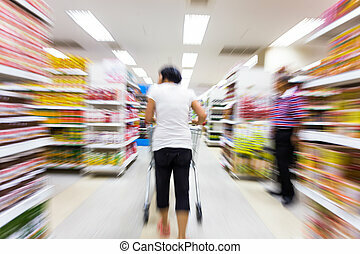 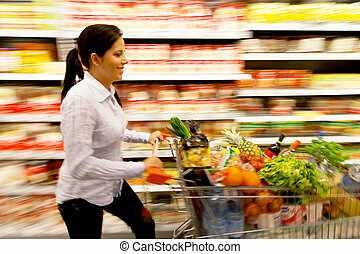 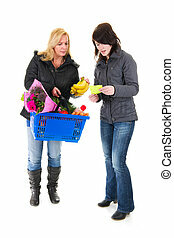 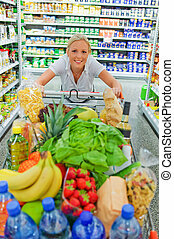 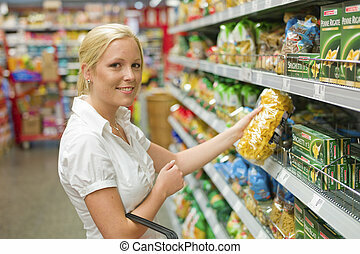 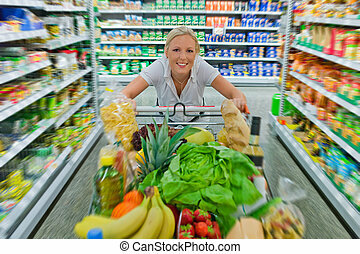 Young woman with shopping cart in the supermarket when shopping. 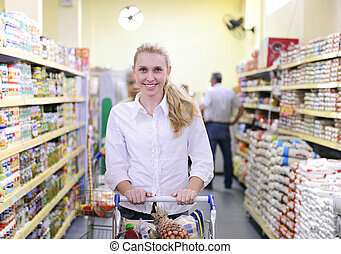 Young woman with shopping cart in the supermarket when shopping. 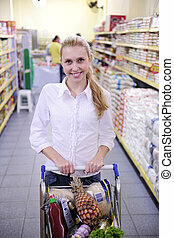 Young Woman with a shopping trolley in the supermarket when shopping. 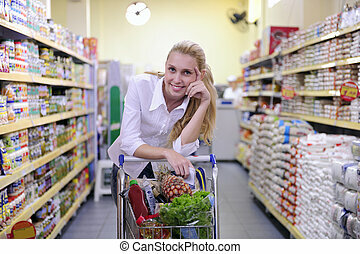 a young woman shopping with a shopping cart in a supermarket.